2D cutout of the hemisphere. I put little 0.1 mm slices into the walls so that the inner cavities would topologically be the outside and wouldn’t get filled in. This is kind of like how the walls in the whistle model that comes with ReplicatorG are non-manifold and therefore don’t get filled. I’m not sure how else to specify an empty inner volume in 123D. Hopefully a 0.1 mm empty space will not confuse Skeinforge. The small solid rectangles in the struts are to give the tall, thin walls some rigidity. The bottom surface is a filled-in circle so as to stick well to the build platform. The model might benefit from another horizontal surface half-way up to keep everything in line. 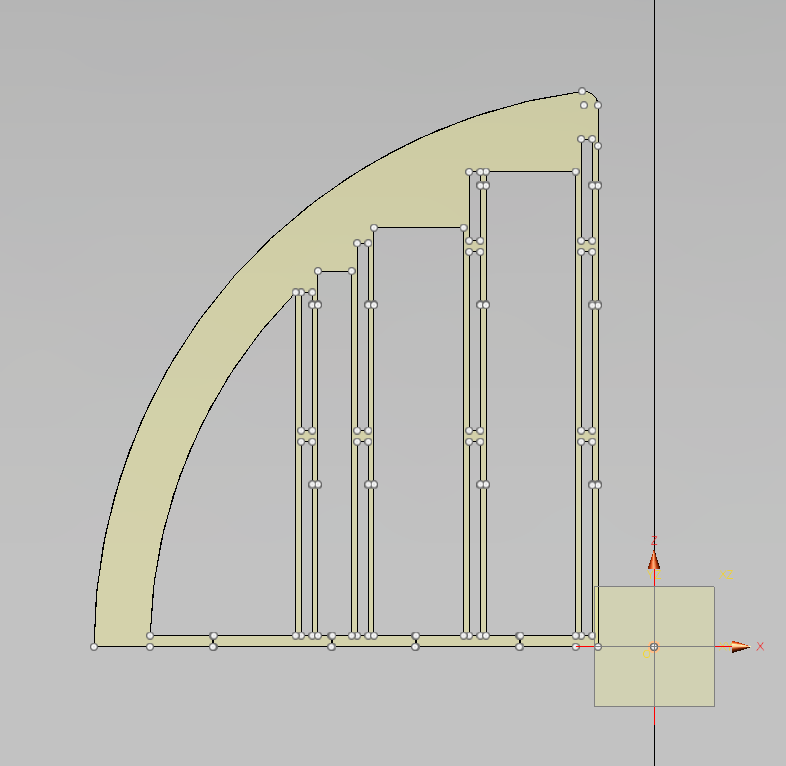 I’d like to make it a cross pattern instead of printing a full circle, so as to reduce waste. Near the top are some flat areas filling in the space between the struts and the hull. These will be part of the final hull. I might be able to use them as mounts for the inner components. One good feature in 123D is that it can save to STL format. 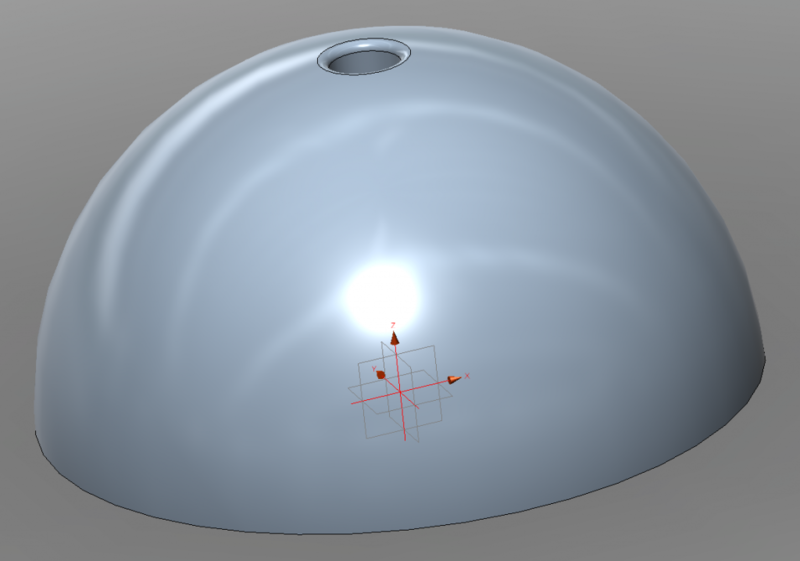 Unfortunately when I save the 10 cm hemisphere to STL and load it into ReplicatorG, it appears very small. Eyeballing it, it looks like in RepG it has been scaled to 0.10 the intended size. Hopefully I can recover the original size by scaling by 10x. I will be able to test this hypothesis with a calibration cube when I get home.